Today we will look at one of my games from the recently concluded Queenstown Open 2016. As in many QGD games, it features the typical attack and breakthrough on the open c-file. 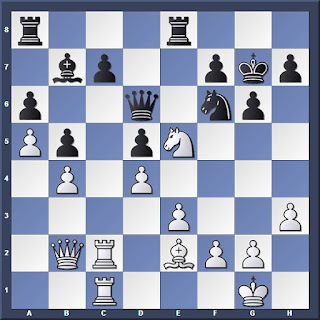 This open c-file will become an important part of White's middlegame plans. The idea is to play Ba3 trading White's bad bishop. 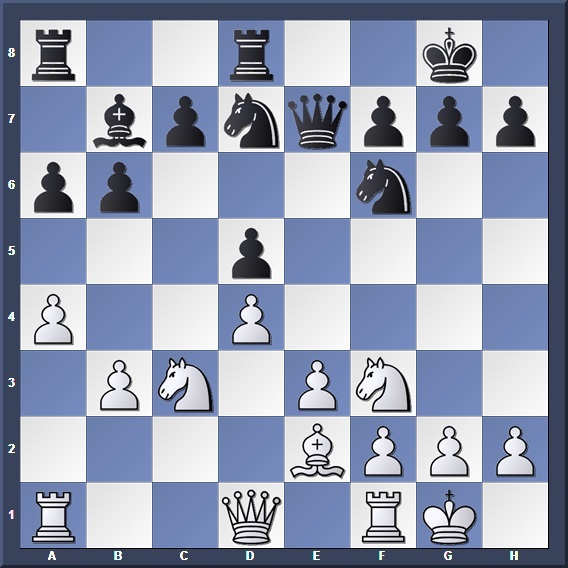 The drawback of 10. a4 is that is allows Black to develop with threat. Losing tempo. 14. Qb1 Rac8 15. b4 gets the pawn forward in time to stop c5. White must waste time moving his queen again, giving Black the opportunity to play c5. 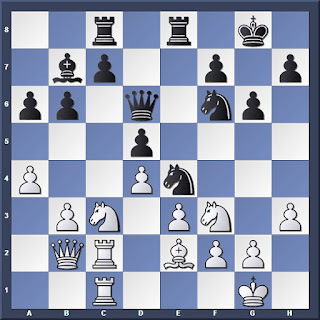 Black has an isolated pawn, but is compensated with active pieces and more space in the centre. He needs to get his bishop into the game and use the outpost on c4 to his advantage. White will try to find counterplay on the c-file as well. White does not capture on e4 straightaway. He doubles his rooks on the c-file first to strengthen the upcoming breakthrough. 16. Nxe4 dxe4 17. Nd2 c5 Black is the one controlling the c-file. Is it still possible to play c5? 16... c5 17. 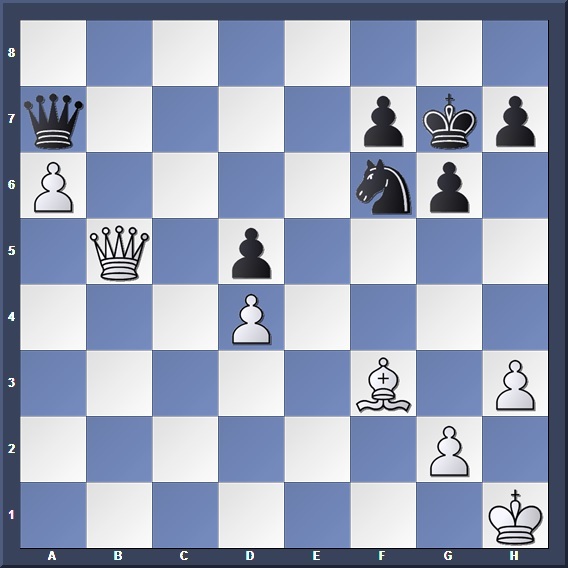 Na2 Ndf6 (threatening Ng4) 18. Ne5 White holds for now, but his position is getting cramped. This only gives White more time to execute his plan. The tides are turning. 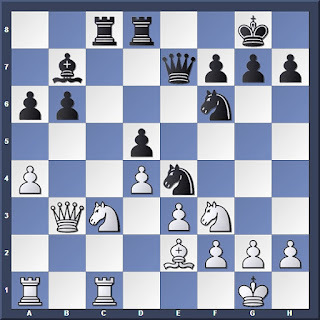 Black had his chance to make a c5 pawn break, but it becomes more remote with each move. Instead, White is allowed to strengthen his forces on the c-file in prepration for a counterattack. With the rooks doubled, now is the time to take on e4. 20... dxe4 21. Ne5 Nd7 22. Nxd7 Qxd7 23. a5 bxa5 24. Rc5 with Qc4 to follow, targeting the weaknesses on a5, a6 and c7. The destination is c6. Note the passive position of Black's bishop. Provoking more weaknesses. Not 24. b5? a5 allowing Black to patch up his weak spots. By forcing Black to push b5, White can use c5 as an invasion point. 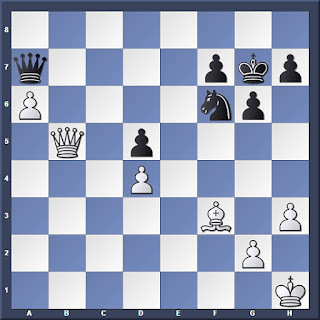 The best defense, seeking protection of the bishop while allowing ... Rec7 and ... Nd7. 28... Rec7 had to be played; 29. Bg4 Nxg4 30. 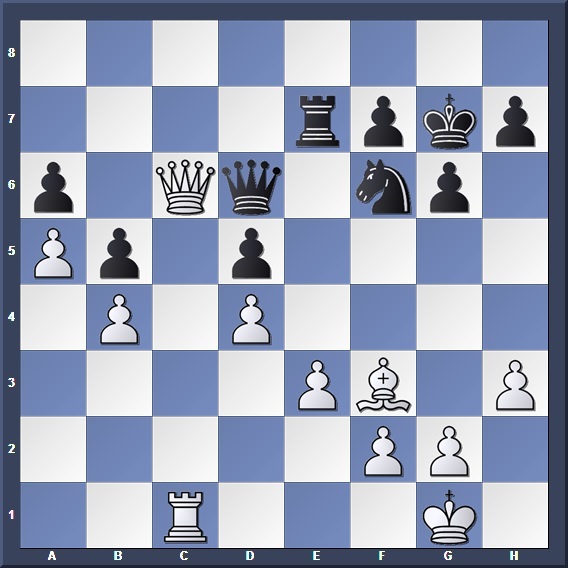 Nxg4 f6 while Black is still inferior due to his passive pieces, White would need a long siege to breach the defences: 31. f3 with the idea of centralizing the king and pushing e4 while Black's forces are tied down. 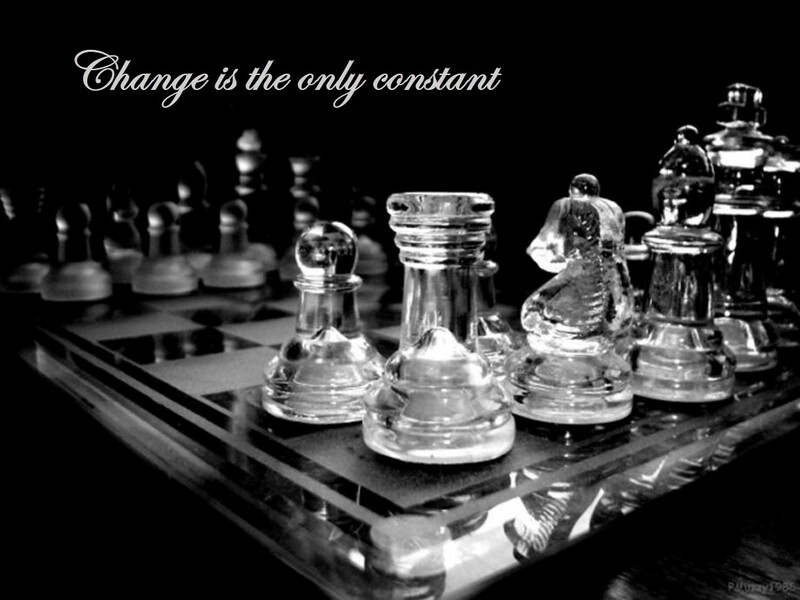 The passed a-pawn will prove decisive. Be careful! 38. a6? Rxe3 followed by ... Rxf3 and suddenly it is White's king that's in trouble! Dashing any of Black's hopes for a perpetual. 40. a6? Qf4+! 41. Kg1 Qc1+ White cannot escape from the checks. By now Black had run into time trouble, so he resorted to waiting moves. Was it still possible to fight back? 43... Ne4 44. Qa5 (44. 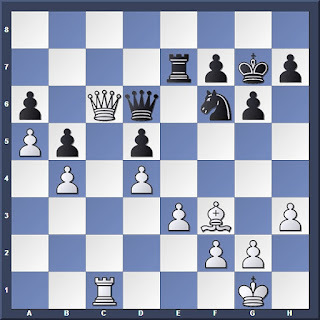 Bxe4 dxe4 White must give up his passed pawn to stop Black's.) 44... Ng3+ 45. Kh2 Qb8 complicates things a little but after 46. a7 Nf1+ 47. Kh1 Black can resign. With 46. Qb7 to follow. So what can we learn from this game? Make sure every move you make has a purpose. Unecessary moves only give your opponent more time to execute his/her plans. When there is an exchange available you don't have to capture immediately; sometimes it is better to wait till the right moment before releasing the tension. Even if you're winning, watch out for perpetual checks!